Introducing the new Easywalker Harvey Pushchair. The Easywalker Harvey is a single pushchair that can grow with your family. This stylish travel system can be adapted with the addition of a tandem axle to form a pushchair for two children. There are various combinations available including 1 seat; 1 carrycot, 1 infant carrier in single mode; or in tandem mode there can be 2 seats; 2 carrycots; a seat and a carrycot; and a seat and car seat. There is a large basket in single mode although this is restricted by the lower seat, or carrycot, in tandem mode. The Easywalker Harvey seat is reversible when used as a single pram. 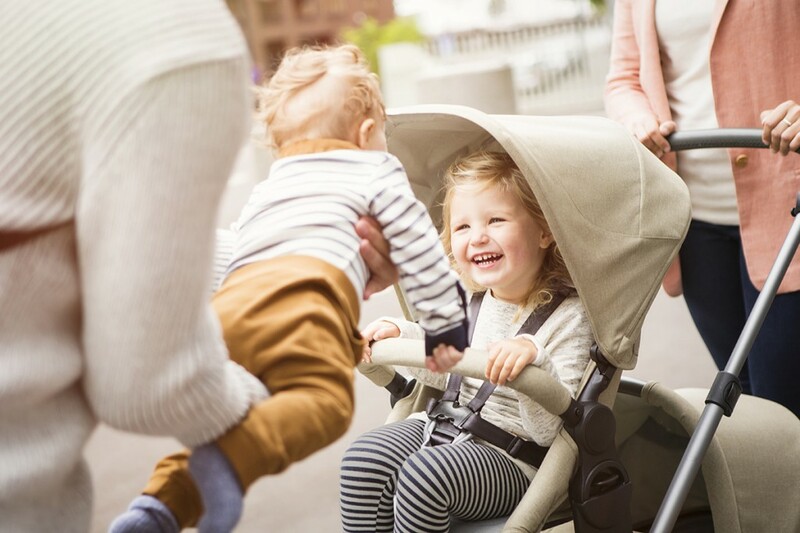 The 5 point harness will keep a child secure as you stroll along. Adaptors can be fitted to lift the carrycot or infant carrier nearer to you. The handlebar extends up to 110cm to make this comfortable for an adult of any height to push. As your family grows, the rear axle can be swapped so that a second seat, carrycot or car seat can be added for a second child. This pushchair is also suitable for twins as it can take two carrycots, two seat units or two car seats. The large basket can carry up to 5kg of luggage. This is restricted in single mode. The front wheels are lockable / swivel wheels. Bumper bars, raincovers and winter seat liners are included. The Easywalker Harvey folds using just one hand into a compact package. Note: The Easywalker Harvey will not be sold in the UK.